It’s that time of the year again. Last year I made the foray into predicting Triple J’s Hottest 100 and it was fun so this year I’ve given it another go with some key differences. I completely rewrote the script that does the legwork, and decided to go one step further with doing some demographic weighting and analysis. 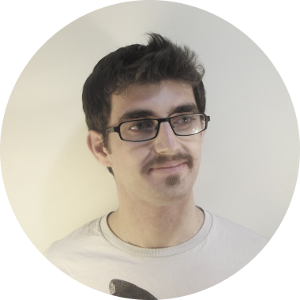 Last year I was using Tesseract, one of the leading open source projects. This year I decided to test out some cloud based OCR to see if it was any better. I tried Amazon Recognition and Google Cloud Vision. After testing both it became clear that Google Cloud Vision is miles ahead of Recognition in both text detection and paragraph detection, so I went with that. I’ve also hooked up all the data to a metabase instance, which is great for easily displaying data. 100 warm tunas is now scraping twitter and instagram. I considered whether my script should do the same but decided against it for a few reasons. Last year, ZestfullyGreen did a twitter scraper but it failed to predict the #1 song. This lead me to believe that the sample of people on twitter are not representative of the Hottest 100 voting population and would not improve the prediction while instagram has a strong history is accurate predictions. Without further ado, these are the raw counts. Interestingly it wasn’t always like this. If you look at the day by day counts, former bookie favourite This Is America won the first day and it took a few more days for Ocean Alley’s total to catch up. We could be in for a close Hottest 100. Every year, Triple J loves to wheel out the stats on the Hottest 100 while refusing to release counts. This makes seeing how far off previous predictions are difficult. I did some research and found several interesting articles. This year’s Hottest 100 has set a new voting record! Gave us a breakdown by state, gender and age bracket (kinda) of who voted. New South Wales took the lion’s share of votes (29%), followed by Victoria (23%), backed up by QLD (20%), and in order after that, WA (11%), SA (8%), ACT and TAS (3%), Overseas voters (2%), and NT (1%). The most common age of voters was 21 years old. About half of voters were aged 18-24 and around 80% of voters were under 30. Did guys and gals vote differently in the Hottest 100? Let’s find out showed us the gender divide in music tastes. Hottest 100: What songs were most popular with each state and territory? did the same for states/territories. Instagram doesn’t list a location for people or their gender, but I figured gender could be approximated by running people’s names through gender_guesser, a library for python that uses a name dataset to guess gender. This decreases our sample size as not everyone has their name of instagram, but is an interesting experiment. Here you can see the differences in votes. The divide is clear. Everybody loves Ocean Alley and Gambino, but people with masculine names seem to have an aversion to Wafia and Amy Shark (Could this be why she has never gotten a #1?). Masculine names also enjoy Ruby Fields – Dinosaur more than people with feminine names. For location, I used a different approximation. Sometimes people tag their photos with a location, and it’s probable that that location is where they live. So the script tries to find the last tagged location and puts them into that state. It’s not perfect but provides some interesting results. When we put this altogether, we can produce weighted prediction of the Hottest 100 based on either gender, state or both. This doesn’t affect the top songs but you can see ones with a particular bias (e.g Mallrat, which is popular with feminine names) shoots up. This year’s Hottest 100 is set to be a close one. If you think you’re better at predicting these things, submit your prediction here and then watch it count down here. This entry was posted in Music, Programming and tagged hottest 100, Triple J on January 20, 2019 by jasongi. Update: Think you can do better than my prediction? Prove it by filling out your prediction here: Triple J Hottest 100 Prediction tracker submission. Also, you can look at the leaderboard of predictions over here. 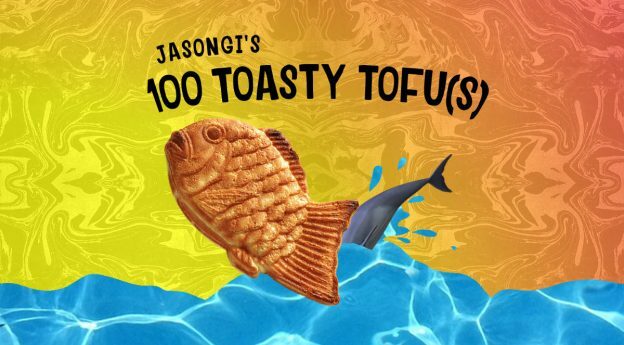 100 Toasty Tofu(s) is another Triple J Hottest 100 Predictor, made for your entertainment with no guarantees what-so-ever. Since 2012, various people have been predicting the Hottest 100 using social media scrapes and OCR. This started with The Warmest 100 and was continued by 100 Warm Tunas. I’ve long thought it’s an awesome experiment because the conditions are good for using social media as a predictor. Two factors make this a good experiment – the average person is willing to share their hottest 100 votes and the stakes are so low, unlike political elections, that there aren’t hoards of true believers/trolls/Russian government agents trying to manipulate public sentiment. I use instagram-scraper to scrape the hashtags (the same as 100 Warm Tunas) and then a python script that uses Tesseract OCR to convert them to text. They are then matched with the Triple J song list (PDF) and saved. I removed any duplicate votes I found, that is people who voted for the same songs in the same order when there are greater than 3 songs in the image (a very unlikely occurrence). I figure these are probably the same person uploading the same image twice. Do more analysis on voting combinations (e.g are there factions who vote for particular songs together and what can we learn from this). Make the table pretty like the other ones. Make a form for people to upload their own predictions and show a leaderboard as they come in on the 27th. The results are quite different to 100 Warm Tunas – I seem to be picking up more votes. I’m not sure if this is due to some sort of filtering I’m not doing or just algorithm differences, but we will see if 100 Warm Tunas still is the internet’s most accurate prediction of Triple J’s Hottest 100 for 2017 on January 27! This table is updated automatically every few hours. This entry was posted in Music, Programming and tagged hottest 100, Programming, python, Triple J on January 20, 2018 by jasongi.